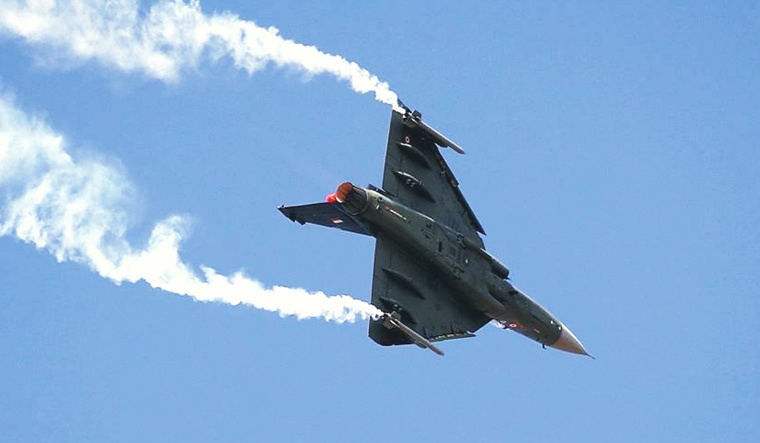 The fighter aircraft developed by India, Tejas is a light jet or jet fighter aircraft playing a variety of roles. The most special thing is that it has been made by Indian company Hindustan Aeronautics Limited. It's a seat and an engine with many kind of role-playing battle jet planes. It is an airplane with no tail, compound delta. Since 1980, it was built under a light jet fighter plane. This aircraft has been included in the Indian Army and the aircraft will replace the MiG 21. Because its Navy version is capable of flying from the aircraft carrier of the Indian Navy. It is said that the IAF needs 20 single seat seats and 20 conversion trainers with two seats. It is included in the Indian Air Force that has brought the neighbor's sleep to sleep. This is the reason why many countries are looking forward to buying it. The special thing is that it has been equipped with all advanced technologies in accordance with the operational requirements of AF. Let us know the special features of this indigenously built indigenous fighter plane Tejas. It makes them special from all the fighters. 1. Titan is the smallest air craft equipped with the most light and modern techniques. Can fly 50000 km at a speed of 2.1350 km per hour. 5. This jet is capable of fueling air in the air. 6. Can fly over low altitude and destroy enemies. Its length is 13.20 meters. This is 5,680 kg heavily fighter aircraft. 7. Its supersonic speed is 1.8 meters - Its range is 3,000 kilometers. 8. The most important thing is that once a flight, it does not even have to take an hour for the second flight, while the planes like Raphael and F16 take between two and a half hours. Its cost is also lower. Tejas is light, it is thin. There is also high speed. These specialties make it a modern airplane. It is equipped with the strength to respond to every challenge faced by India in the desert areas of Rajasthan and in the hilly areas of the north-east of Rajasthan, on this ocean. Recently, Egypt had shown interest to buy this light aircraft Tejas and supersonic Missile Berhmos. The company making this aircraft has sold many weapons and helicopters to other countries. Tejas is completely India-made aircraft. It has taken about 20 years to be designed. India was working on this aircraft since the 80's but now this warship has been included in the Indian Army, which is a matter of pride for every Indian.